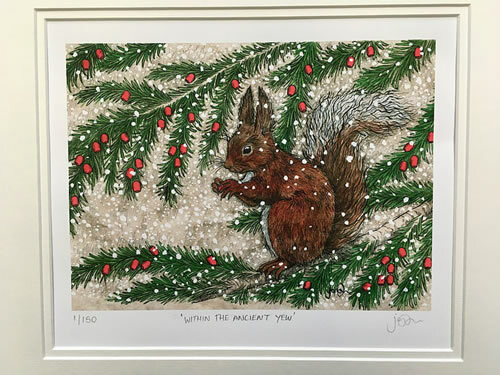 Really adorable – but then Joe must have been once ! Yes, I do love cats, old Tom was with us for many years, and Joe had Benjy, who ruled over his soft as butter labrador with a tyrannical whim. 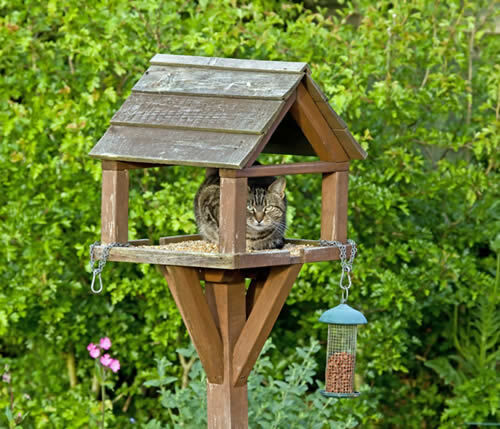 So the problem is we love cats, but love our visiting birds too - and really, really would prefer they never met ! We have our cat and dog deterrent, and we use that regularly around our raised vegetable beds, but really to protect the birds in a wider area ( and to prevent the little surprises that used to turn up when I was weeding the borders) we needed something with a bit greater range. And we found it ! 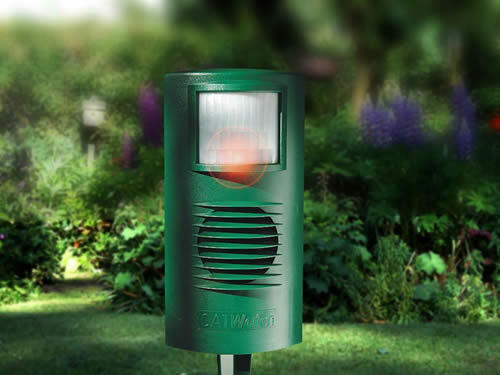 A totally harmless ultrasonic Cat deterrent – ‘Catwatch’ is the only cat deterrent which is recommended by the R.S.P.B..
‘Catwatch’ gets going as soon as it detects movement, or body heat, within a radius of 40’ ( about 12 metres) and will deter cats up to 60’ away. You will not notice the sound though, just the cat will. 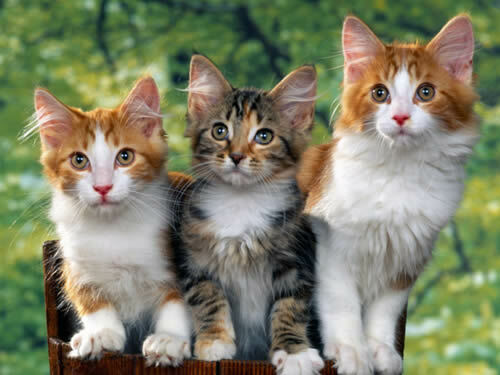 Some old toms, very used to their own way, may go a short distance and then turn to stare Catwatch out. After a while though they will just stroll away as if they always really meant to, just probably with a very puzzled expression. So it only works when needed, covers an area of about 1350 square feet, works 24/7 in all weather conditions, and is maintenance free. What’s very interesting though, the longer you have a Catwatch the more effective it becomes – word gets around in the feline world ! Well perhaps the price, it’s not cheap just really good value for money ! 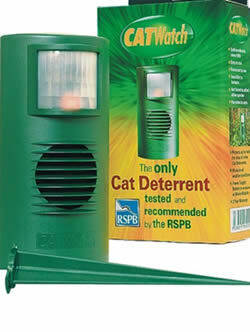 Totally U.K. made and with a two year warranty, you simply pop it wherever you like, and let ‘Catwatch’ cat deterrent just get on with it.